Blockbuster UK is looking to adapt itself from a rental business to a full-blown electronics seller, with trials of selling TVs already taking place in a number of its stores. In an interview with MCV, commercial chief for Blockbuster Gerry Butler, tried to distance the UK arm of Blockbuster from what was happening in the US, explaining: "Blockbuster isn't a bad business, it just has a lot of debt. "The debt got to $990 million and at some stage you've got to tackle that. Now the Chapter 11 allows the guys some opportunities to refinance the business." 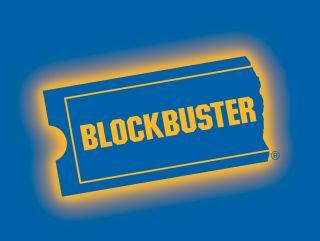 When it comes to the changes to Blockbuster in the UK, Butler believes that becoming more of a store for electronic goods, rather just a rental service will put the company is good steed for the future. "We are becoming more than just a rental firm, we are becoming a company of supplying entertainment needs," Butler explained. "At the moment we are testing sales of TVs in 35 shops." This doesn't mean that it is getting rid of the rental side of the business. In fact, Butler notes that "the core rental business is up six per cent, primarily down to Blu-ray." But it does sound as if Blockbuster UK is trying to make sure that it doesn't go down the same Chapter 11 road as its US counterpart. Butler is optimistic about the future, saying: "The UK business is substantially up year-on-year – the UK operation is sitting on over £50m of net assets. It is an extremely well-funded, cash-generative business." According to MCV, Blockbuster stores will begin selling goods like iPods, TVs and mobile phones and there will be some stores relocated to more prominent areas of the UK high street.